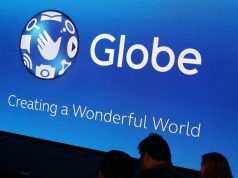 Globe Telecom announced that its Board of Directors approved the declaration of the fourth quarterly cash dividend of P22.75 per share for holders of its common shares. The dividend will be paid to shareholders on record as of February 21, 2017, with payment date on March 8, 2017. “The cash dividend is a testament of the company’s commitment in creating shareholder value,” Globe Chief Finance Officer Rizza Maniego-Eala said, adding the first quarter cash dividend payment total is estimated at around P3.0 billion. Approval of the cash dividend follows the release of the company’s financial performance report, which showed the leading telecommunications company posting fresh record revenues of close to P120.0 billion, outpacing the previous record level of P113.7 billion in 2015 by 6%. According to Globe, the sustained revenue momentum, despite the competitive intensity in the market during the second half of 2016, was driven by the solid growth in data-related products across all segments, and robust subscriber growth for both mobile and broadband. This was likewise supported by the sustained execution excellence for the various product launches during the year, backed by its improved network performance, as Globe moves forward with its capacity and coverage enhancement initiatives intended to elevate the state of internet in the country.